Following a pledge of continued support from the Turkish government the Tanzania tourism sector is now preparing to welcome an increasing number of visitors from the Asian country over the next few years. Over the past few years, Tanzania has welcomed more than 10,000 tourists from Turkey and, according to the Turkish Ambassador to Tanzania, Dr. Sander Gurbuz who spoke at a farewell party that was organized in his honor by the Tanzania Tourist Board (TTB) in an effort to recognize his country’s contribution to the Tanzania tourism sector, this figure may more than double to 200,000 within the next few years. 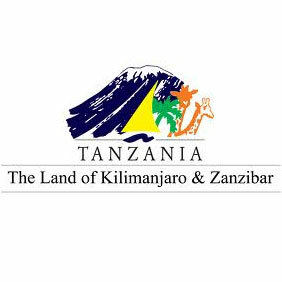 While speaking at the party, Ambassador Gurbuz indicated that his close cooperation with the TTB, the Tanzania National Parks Authority (Tanapa) and other tourism authorities was of critical importance in the efforts made to attract more Turkish businessmen into the country which would, in turn, help increase the country’s overall foreign exchange earnings. The envoy was awarded by the board a certificate of recognition for his contribution in developing the country’s tourism sector. Dr. Aloyce Nzuki, the TTB Managing Director, commended Ambassador Gurbuz for his dedication to the success of the Tanzania tourism sector. The active involvement of the TTB in advertising the country’s tourism potential to outside investors, including Turkey, has been crucial to the development of the Tanzania tourism sector after having won a number of public awards during various international showcases. In recent years, Tanzania and Turkey have forged close business and economic ties as evidenced by the mutual opening of their foreign missions; Turkey officially opened its mission in Dar es Salaam in 2009 and Tanzania is currently in the final stages of opening its mission in Istanbul. In addition and as a result of the efforts of Ambassador Gurbuz, Turkish Air established direct flights to Tanzania last year in an effort to better serve Turkish tourists visiting Tanzania.